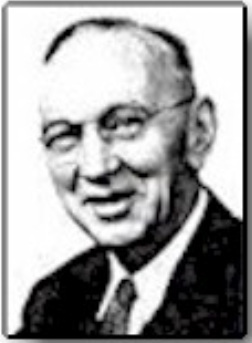 Edgar Cayce (pronounced "Kay-see") was a simple Sunday School teacher who, over the span of his lifetime (1877-1945), had more near-death experiences than anyone ever documented. Cayce learned at a young age that when he was hypnotized, he could leave his body and journey into the afterlife realms. His self-induced out-of-body experiences were identical to near-death experiences. Cayce made over 14,000 otherworldly journeys in his life and the information he gained from these journeys has astounded people all over the world. Note: The 6th dimensional channelled social memory complex called Ra stated that Edgar Cayce's information was obtained from the Akashic Records. The system of metaphysical thought which emerges from the Cayce material can be described as a "Christianized" version of the mystery religions of ancient Egypt, Chaldea, Persia, India, and Greece. It fits Christ into the mystical tradition of one God for all people, and places Christ in his proper place, at the apex of the philosophical structure - the capstone of the pyramid. Cayce was a fundamentalist Christian who was raised in strict nineteenth century Bible tradition. When he discovered that his subconscious information declared the ancient mystic religions to be true and acclaimed Jesus as their crowning glory, he suffered the greatest mental and emotional shock of his life. Cayce had only a seventh grade education and consciously knew nothing of what he said while in a deep trance-like state. He was only versed in the Bible and had no high school or college background of any kind. Up until his revelations, Cayce had never heard of the mystery religions. Yet the Cayce material agrees with everything about them that is known to be authentic. He spoke at length on Christian Gnosticism well before the Gnostic writings were discovered (after his death). Cayce affirmed that Christian Gnosticism is the type of Christianity that was taught by Jesus. Much of the information from Cayce has solved some of the greatest mysteries of humanity, some of which were later validated after the discoveries of the Dead Sea Scrolls and the early Christian writings discovered in Egypt. Cayce's descriptions of the Essenes of Mount Carmel reveal the religious sect to be an ideal for others who would prepare the way for the Second Coming of Christ. Cayce's revelations of Jesus' so-called "lost years" as a youth studying in Egypt, Persia, and India suggest an important compatibility between the eastern and western religions. Cayce's Christology also makes the Christ soul not only an ideal and pattern toward which everyone should aspire, but a living presence to guide people toward "at-one-ment" with God - the perfect divine-human unity which Jesus attained. Question: "When did the knowledge come to Jesus that he was to be the Savior of the world?" Amilius : Amilius was the first expression of Divine Mind (the logos); the Christ soul before his incarnation into a physical body (corresponding to Genesis 1); the entity that Cayce described living in the lost civilization of Atlantis, who redirected the process of human evolution by creating a more appropriate physical form for the influx of souls to incarnate into, rather than incarnating into the ape-like human form which souls had entangled themselves in. Adam : Adam was the first "son of man" and "son of God"; the Christ soul after his incarnation into a physical body (corresponding to Genesis 2). Enoch : Enoch was the antideluvian patriarch who journeyed to heaven to receive mysteries. Hermes : Hermes, also known as Thoth, was the architect of the Great Pyramid and the sage who began the Hermetic tradition. Melchizedek : Melchizedek was the mystical high priest and king of Salem (ancient Jerusalem). Joseph : Joseph was the son of Jacob who became the Prince of Egypt. Joshua : Joshua was the warrior who led the Israelites into the Promised Land after the death of Moses. Asaph : Asaph was the music director and seer who served under David and Solomon. Jesus : Jesus was the man who attained complete "at-one-ment" as the divine-human unity known as "the Christ"
????? : The Christ soul will reincarnate again to be the Messiah foretold by the Hebrew prophets in order to usher in the so-called "Throne of David" (i.e., the kingdom of heaven) on Earth. According to Cayce, the "fall of man" was an event recorded symbolically in Genesis where souls from heaven first descended to the Earth plane to began incarnating as humans. The first wave of souls to incarnate (known in the Bible as "the sons of men") became entrapped in the Earth plane accidentally, through their misuse of free will. These events gave rise to legends of the "fall of the angels" and to mythical beasts of the kind described in J.R.R. Tolkien's "The Lord of the Rings." The second wave of incarnations (known in the Bible as "the sons of God") consisted of those souls led by Amilius - the Christ soul - who voluntarily became entrapped in order to assist the first wave of trapped souls. They accomplished this by steering the process of physical evolution in a way that created more appropriate physical forms for these souls. Cayce places Amilius on Atlantis, but says that he did not physically incarnate until the human physical form had been created, at which time the Genesis accounts of Adam and Eve begin. Cayce sometimes used the word "Adam" to also refer to the entire group of souls which had accompanied the Christ soul into incarnating into the Earth plane and who incarnated as the five races of humanity on five separate continents. Adam (as the Christ soul) joined his twin soul Eve in allowing himself to be seduced by materiality. This is symbolized by his acceptance of "the forbidden fruit." The other sons of God followed his lead and incarnated, and as a result were moved to express their materiality by interbreeding with the "daughters of men" (Genesis 6:1-2) who were the homo sapiens that evolved from ape-men according to Darwin's theory of evolution. According to the Cayce material and Christian Gnosticism, their banishment from the Garden of Eden was actually a great blessing, because death and reincarnation are designed to draw our attention away from materiality and the flesh, and toward our true spiritual nature. Cayce also identified Melchizedek as an incarnation of the Jesus-entity. Melchizedek was the "king of Salem" and "priest of the most high God" who shares bread and wine with Abraham in Genesis 14:18-20. Melchizedek is also mentioned both in the Dead Sea Scrolls (I I Q Melch) and the Nag Hammadi codices (NEC IX 1), where he appears as a cosmic angelic figure similar to the risen Christ. Hebrews 5:10 refers to Jesus "a high priest after the order of Melchizedek." According to Cayce, Melchizedek wrote the Book of Job which contains many unusual verses that Cayce would often quote from while in trance. For example, Cayce stated, "For, as the sons of God came together to reason, as recorded by Job, "WHO recorded same? The Son of Man! Melchizedek wrote Job!" The Books of Enoch describe the fall of the angels into materiality - the beginning of the incarnation of souls from heaven. It also describes Enoch's several heavenly journeys where it is revealed to him the future up until the time of the Messiah. Enoch is also taught such traditional topics as angelology and the divine throne-chariot. The Ethiopic Enoch introduces Enoch to a messianic figure referred to as "the Son of Man." The Hebrew scripture known as "Apocalypse of Enoch" describes Enoch transfigured into an angel named Metatron. In the New Testament, Enoch is mentioned in Hebrews 11:5 and Jude 14-15, with the latter passage apparently quoting from the pseudepigaphal Enochian literature. The fact that the Bible itself quotes from the Book of Enoch is evidence that Cayce was correct about the book being a valid source for higher spiritual knowledge. Cayce also identified the Biblical personality named Joseph (son of Jacob) as an incarnation of the Jesus-entity soul. Accordingly, Joseph's escape from the pit was not only a literal event, but a symbolic anticipation of Jesus' resurrection. Cayce's identification of Joshua, the notorious genocidal leader of Israel in the Old Testament, as an incarnation of the Jesus-entity is a little more difficult to believe. But Cayce viewed Joshua's claim to fame as being the scribe for Moses who "psychically" dictated much of what is attributed to Moses. This interesting bit of information explains how "Moses" wrote about his own death. Another Biblical personality named by Cayce to be a Jesus-entity incarnate is the high priest named Jeshua who helped organize the return from exile and the rebuilding of the temple (see Ezra and Nehemiah). According to Cayce, this Jeshua is the one who compiled and translated the books of the Bible. In essence, Cayce identifies all these Biblical personalities to be psychic revelators. An interesting fact is that "Joshua", "Jeshua", and "Jesus" are really the same name. The name "Jesus" is a Latin version of the Aramaic name Jeshua or "Yeshua." And Yeshua is Hebrew for Joshua or "Yehoshua." Thus, Cayce has assigned the soul-entity Jesus to be incarnations of the three Biblical characters having the same name. Cayce also mentions that Jesus was an Essene who was registered by his Essene school under the name of "Jeshua". "These will begin in those periods from '58 to '98 when these will be proclaimed as the periods when His light will be seen in the clouds." (3976-15). Cayce gave the year of the "entrance of the Messiah into this period -1998." (5748-5) He also mentions that no one knows the exact day of this event because it cannot occur "until His enemies - and the Earth - are wholly in subjection to His will, His powers." (57491). So this suggests that Jesus's return will not be a future incarnation in the flesh since Jesus has already transcended the need to reincarnate. Two years after Cayce's death in 1945, the Dead Sea Scrolls were discovered in Qumran. This remarkable archeological discovery revealed a large amount of information about a religious sect around the time of Jesus referred to as the Essenes, and affirmed information provided by Cayce. The word "Essene" is never used in the Dead Sea Scrolls but most scholars accept that the Qumran sect was either identical or closely related to the Essenes of the classical authors such as Josephus and Pliny. According to Cayce, Jesus was an Essene along with Mary and Joseph, who was affiliated with an Essene community based on Mount Carmel, which was a continuation of a "school of the prophets" begun by Elijah, Elisha, Samuel and Melchizedek. Cayce described the Essenes as an pious religious community of men and women whose purpose was to prepare the way for the coming of the Messiah. Archaeology does not reveal the meaning behind the word "Essene" but Cayce mentioned that it means "expectancy." According to Josephus, the Essenes were known for divination (foretelling the future) which agrees with Cayce's descriptions of them spending their time recording experiences of "the supernatural or out of the ordinary experiences; whether in dreams, visions, voices, or what not" (1472-1). Cayce also mentioned that the Essenes were students of astrology, numerology, and reincarnation. The Dead Sea Scrolls describe the Essenes as an authoritarian, highly disciplined community that controlled every facet of members' lives. They had to give all their money and property over to the community after a year's probation. Their theology stressed a good versus evil duality. It also describes a conflict between a "Teacher of Righteousness," a "Wicked Priest," and "the Liar." They separated themselves from the outside world in an anticipated final war between the sons of light and the sons of darkness. As for the Jesus connection to the Essenes, scholars believe the idea of Jesus being an Essene does not fit the personality and teachings of Jesus despite the many interesting similarities between Jesus and the Qumran community. For example, scholars believe the Essenes wouldn't have approved of Jesus' bending of the moral standards such as associating himself with prostitutes and tax collectors. It is also believed that John the Baptist was an Essene because of the similarities between himself and the Essene community. According to Cayce, Jesus' mother Mary was chosen by the Essenes at the age of four to begin intensive spiritual training lasting three years in preparation for the conception of the Messiah. Her election as the mother of the Messiah occurred during a special ceremony in the temple at Mount Carmel, in which an angel led her by the hand to the altar. Cayce and the Infancy Gospel of James agree that Joseph was chosen to be Mary's husband by lot. They also agree that Joseph was much older than Mary. Cayce gives their ages at the time of their marriage as thirty-six and sixteen respectively. Cayce and the Infancy Gospel of James agree that Jesus was born in a cave. According to Cayce, Jesus was sixteen years old when his education about the ways of the ancient teachers began. First, he traveled to Egypt where, as an infant, he was taken after his birth by his parents to flee Herod, as the Gospel of Matthew states. After spending time learning in Egypt, Jesus spent three years in India and finally a year in Persia (Iran). The idea that Jesus had spent his "lost years" wandering Asia did not originate with Cayce. Its first proponent seems to have been the Russian war correspondent Nicholas Notovitch (1858 - 1916), who described his travels in British India in a book entitled "The Unknown Life of Jesus Christ" published in 1894. According to his book, Notovitch was told by the "chief lama" of a monastery that their library contained records of a visit by Jesus in ancient times. The chief lama finally relented to Notovitch's requests to examine the records. From two large bound volumes written in Tibetan, Notovitch translated them through his interpreter as "The Life of Saint Issa: Best of the Sons of Men". At fourteen, he encountered the "erring worshippers of Jaine", a reference to Jainism. Then he spent six years studying the Vedas and learned the art of exorcism and intercessory prayer. Issa rebuked Brahmin priests for upholding the caste system. Issa also would violate their customs by giving teachings to the lower castes. He is seen rejecting the authority of the Vedas and Puranas, denying the Trimurti and the incarnation of Brahma as Vishnu, Shiva, and other gods. It is written that Issa belittled idolatry and barely escaped India with his life. In Nepal, he grew proficient in Pali and spent six years studying Buddhist sutras. He condemned human and animal sacrifices, sun-worship, the dualism of good and evil, and the Zoroastrian priesthood. The Zoroastrian priests seized him and abandoned him to the wilderness to be devoured by wild beasts but he escaped anyway. Cayce made a distinction between Jesus and "the Christ". He said that "Christhood" is the goal which every human should strive for. Jesus was simply the first evolved human to attain it. Cayce referred to Jesus as our "elder brother" and "the pattern" for our own spiritual growth. The Bible states that Christ [Jesus] fulfilled the law and, according to Cayce, so can we. That is the entire purpose of Jesus' teaching. Cayce wrote: "The law of God made manifest [that] He becomes the law by manifesting same before man; and thus - as man, even as you become one with the Father" (1158-12). In essence, Cayce described the Christ soul as the impelling force and core of truth behind all religions that teach that "God is One". "I and my Father are one. Then they took up stones again to stone him. Jesus answered them, Many good works have I shown you from my Father; for which of these do you stone me? They answered him, saying, For a good work we stone you not; but for blasphemy; and because that you, being a man, make yourself God. Jesus answered them, "Is it not written in your law: I said 'you are gods?" - John 10:30-34, Jesus quoting Psalm 82:6 to defend his teaching that God dwells within all human beings.